If you are planning to explore the Everglades in southwest Florida, you may be pondering how best to enjoy the experience. 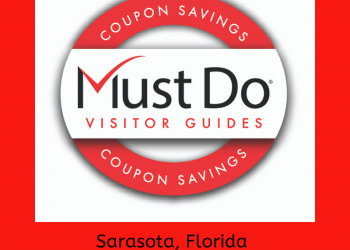 Should it be with an airboat ride across the sawgrass, or perhaps viewing wildlife high up from a swamp buggy? 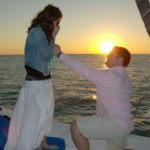 Or what about a wildlife sanctuary and live alligator show? 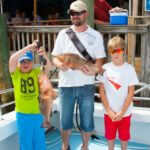 Fortunately the all-inclusive combo ticket at Wooten’s gets you a great deal for all three. Located on the Tamiami Trail (US-41) near Everglades City, Wooten’s began operating airboat tours when Florida tourism was in its infancy. 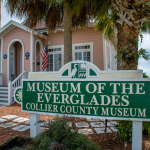 Families would make the journey to southwest Florida and a trip to the Everglades National Park was a must-see. This slow-moving river of grass flows from Lake Okeechobee into Florida Bay and is inhabited by thousands of alligators, wading birds, fish and wildlife. It was also the home of the Seminole and Miccosukee Indians. 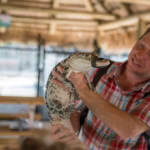 The best way to see this unique eco-park was by airboat, so Raymond Wooten started the first Everglades airboat company in1953 to provide exciting tours. The company passed to Gene Wooten, Raymond’s son, in the 1990s. 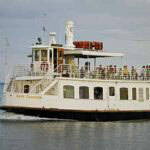 It is now owned and operated by the Patel family, owners of the Everglades City Motel and Captain Jack’s Airboat Tours. It continues to offer bigger and better Everglades experiences with a combination of activities which are well worth enjoying on a discounted combo ticket. 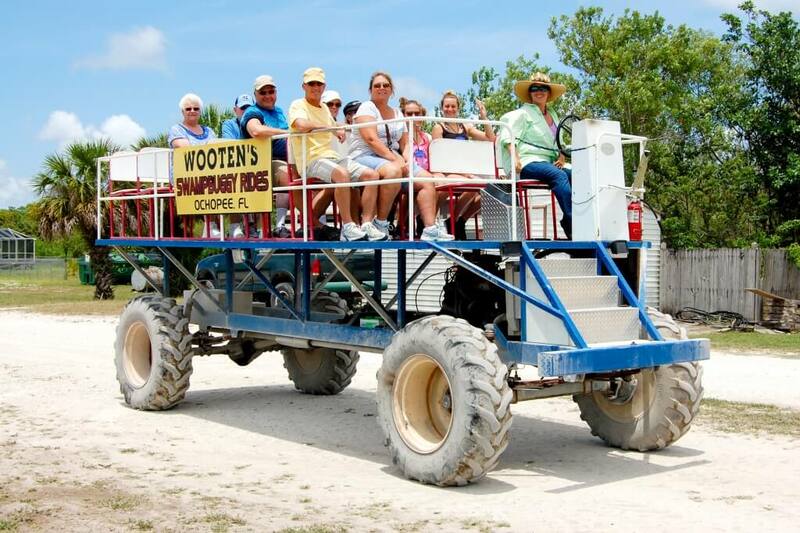 Wooten’s have airboat rides off to a tee, managing to shuttle hundreds of visitors out onto the Everglades in a highly organized system with very little waiting time. When you arrive and purchase your ticket, you are given a number for the next airboat. 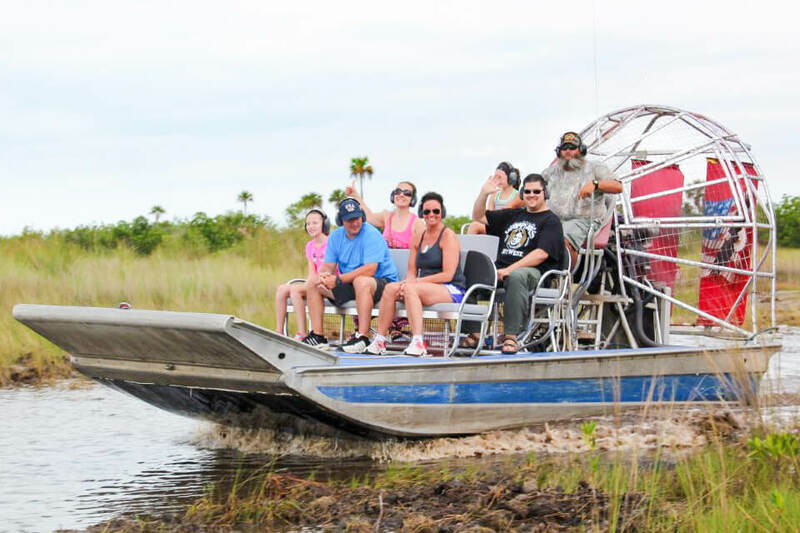 As you make your way to the docks, airboats are continuously arriving and discharging happy visitors and efficiently loading up the next group. Each airboat seats around 15-20 passengers on tiered bench seats. If you don’t want to get splashed on the spins and turns, avoid the front row! 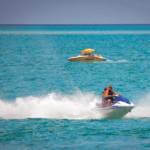 Everyone wears headsets as the noisy rear motor propels the shallow-bottomed craft over the water in search of wildlife. Your driver/guide will stop and point out all kinds of wading herons, hovering bald eagles and nesting birds. You’ll see alligators of all sizes, usually basking in the sunshine on grassy hammocks or floating greenery. There’s plenty of open water in the 253 acres of private swampland owned by Wooten’s so expect some exciting accelerating and 180 degree spins as part of the trip. Back on dry land, cross the US-41 to the shelter where swamp buggy rides regularly depart. You don’t usually have to wait long for the next swamp buggy to roll up and you can climb the ramp and board the high open-topped vehicle safely and easily. This ride has a guide who gives a commentary about living in the Everglades, the wildlife and some Indian history. The buggy bounces through shallow waters following a circular route through the cypress forest that takes about 30 minutes to complete. Along the way, the driver stops to throw food out for a tame raccoon for everyone to get some great photographs. The trail ends near a lake where alligators and herons hang out – another great opportunity for photographing Everglades wildlife. 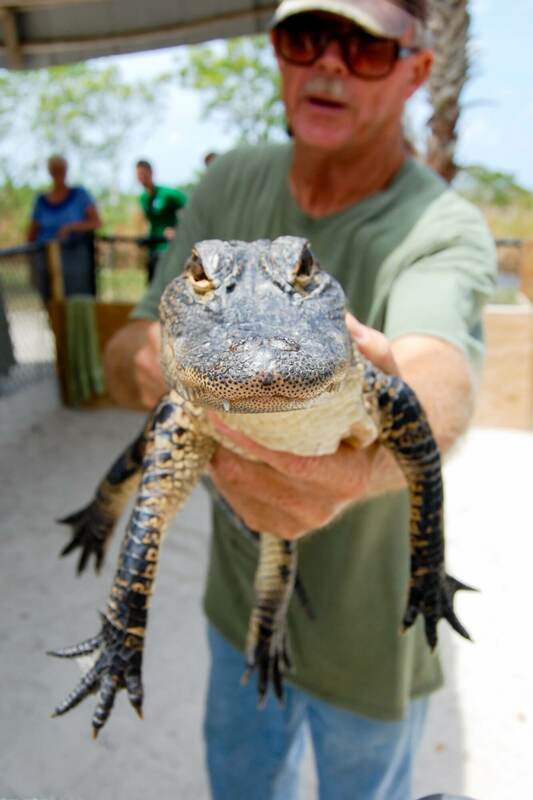 A final treat allows you to see all types of Everglades wildlife at close quarters in the animal sanctuary. 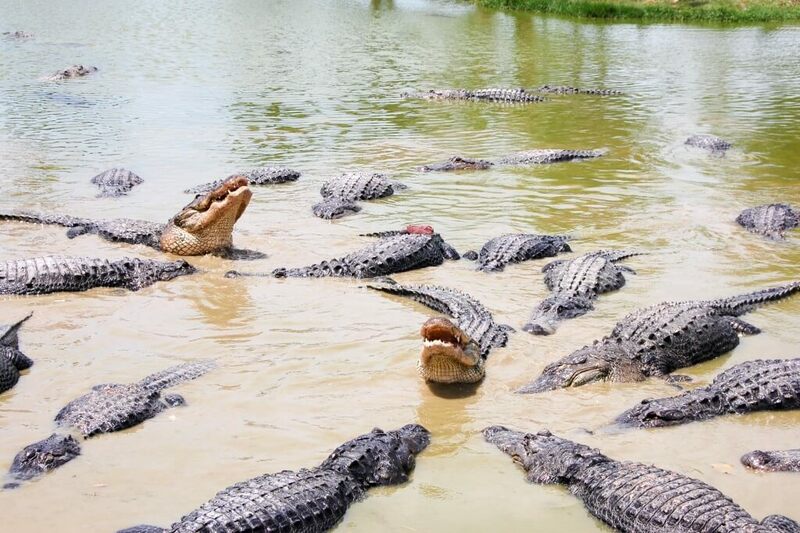 Crocodiles, panthers, snakes, otters, bobcats, crocodiles and over 100 alligators live in this remarkable zoo. Timed alligator shows are fun as handlers show their skills while avoiding the sharp snapping teeth of the gators. One final treat is the chance to hold a young gator and feel its scaly skin. Picking up some gator souvenirs in the gift shop is a fantastic end to an unforgettable Everglades experience, and no-one does it better than Wooten’s! 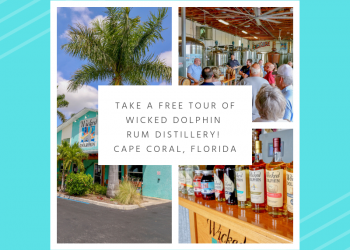 Print our coupon to save on Wooten’s ultimate Everglades combo package, which includes an airboat tour, swamp buggy tour, the Animal Sanctuary, and the live alligator show!